Love on the Dole is a gritty British film produced in 1941 and dealing with life in the Depression, unemployment, poverty, unwanted pregnancy and prosititution. Walter Greenwood's book and play had been very successful and he was keen to see his project progress to the screen. Filming was originally planned for the mid 1930's but the British Censors banned the proposal stating that it was "a very sordid story in a very sordid surrounding." The producers eventually received approval to make the film and it was released in 1941. The film had it's detractors, primarily due to the somewhat depressing storyline screened at a time when Britain was at war. However, it did receive high praise from critics who were particularly impressed with Deborah Kerr's first starring role. The Daily Herald proclaimed "The film was Banned, Now a Triumph". 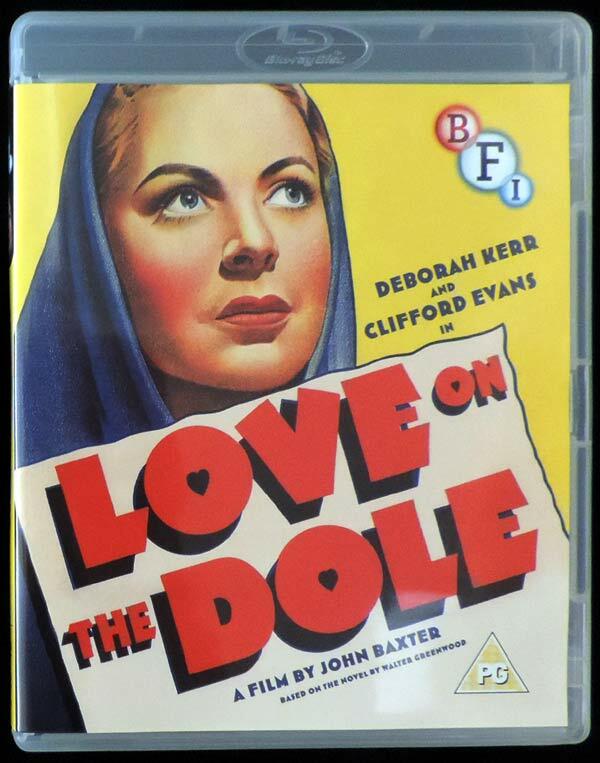 The British Film Institute undertook the task of remastering Love On the Dole and releasing it on DVD. They found an original hand litho Australian Daybill on my website which probably features the best artwork for anything seen on this film. The image from the daybill now appears on the cover of the DVD and looks very impressive. BFI have done a wonderful job in producing a superb High Definition transfer of this important British film in a DVD which contains special features that include additional short films about life in the era and a booklet which chronciles the history of the film. With Deborah Kerr, Clifford Evans, George Carney, Mary Merrall, Frank Cellier.